The Main-at-South-Side venue strives to be a musician’s haven. Higgs (lower-right): “It’s bands that will have a say-so in this place.” Photo by Honey Russell. It’s not unusual for a bar, restaurant, or music venue to have a small army of investors. To get a project off the ground, owners will often round up the cash in exchange for shares of the profit. Tim Love, Shannon Wynne, and countless other service industry entrepreneurs are famous for minimizing risk by including a bunch of moneymen. 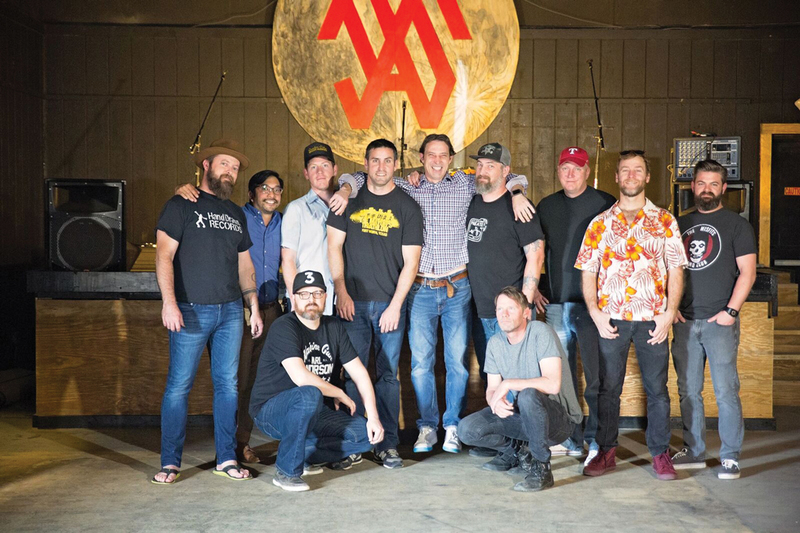 The team of investors/owners of the soon-to-be-opened Main-at-South-Side (MASS) venue isn’t exactly full of the cufflink-clad powerbroker types whom Tim Love would approach. But don’t be fooled. The 11 guys who have thrown their money behind the place aren’t exactly a ragtag group of barflies, either. 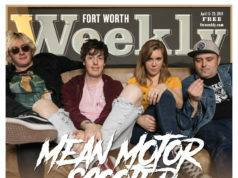 Each has a name and reputation in the Fort Worth music scene. 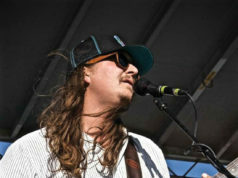 Officially, there are two owners: bassist TJ Webber, formerly of the Panther City Bandits and others, and former Yellabbelly and High School Assembly frontman/guitarist Ryan Higgs, who co-owns West Magnolia Avenue sports bar Upper 90 on College and previously owned a share of Lola’s Saloon and the long-departed Impala. He is the managing partner of team MASS. The rest of the crew appropriately consists of musicians, booking agents, bar owners, and bartenders. The list includes: singer-songwriter Kevin Aldridge; Alan Brown of Spune Productions, who will share the booking duties with Higgs; Chat Room Pub and The Usual co-owner Jon Carney; financial analyst and former Rosedale guitarist Dachun Hong; bar manager and investor in The Usual Irish Huddleston; Republic Street Bar owner Brian Reising; Cut Throat Finches frontman Sean Russell; Oil Boom bassist and Fort Worth Weekly contributor Steve Steward; and Jetta in the Ghost Tree guitarist Eric Webb. The whole project started in February over drinks between Webber and Carney at the Chat. Webber had been scouting spaces to potentially open a venue – a lifelong dream of his, he said. After the two looked at one space, the landlords pointed them toward another property that housed the recently shuddered El Remy Nightclub on South Main Street. Webber said that once he and Carney decided to pursue the building, investors were eager to jump on board. One of Carney’s first calls was to Higgs, who said that he’s been looking to open a music venue in the Near Southside since his days as Brian Forella’s partner at Lola’s Saloon. MASS sits near the corner of Rosedale and South Main streets, next to the Vandervoort Dairy Food Company, and acts as the unofficial greeter to the South Main Street development. The space is open and looks like it could comfortably hold about 200 people. At one end of the room, there’s an imposing 3-foot-high stage made with salvaged linoleum from El Remy’s dance floor. On the other end, there’s a modest game room with a pool table, a pinball machine, and an arcade-sized Golden Tee. The 20-foot-high ceilings make the space seem cavernous, and there’s an as yet undeveloped upstairs area that overlooks the room. The group hopes to open that upstairs section in the near future. The building has its own parking lot that looks like it could hold 20 or so cars. The venue will be nonsmoking inside (with a patio for smokers), open seven days a week, and focused on live music Thursdays through Saturdays, with earlier set times. The closing act will go on at 11 p.m. instead of the usual midnight. On the off-days, Higgs said, he plans on having open mics, DJs, and the usual bar-tainment. Russell said that owners of the nearby venue Shipping & Receiving Bar are excited to have both MASS and the soon-to-open Twilite Lounge in the area. The venue’s opening show will be this Saturday, with Oil Boom, Kevin Aldridge & The Appraisers, and Heater. Higgs also said that he and Brown have booked Holy Moly, Jetta in the Ghost Tree, The Unlikely Candidates, Cutthroat Finches, Taylor Young, and American Werewolf Academy. Sat w/Oil Boom, Kevin Aldridge & TheAppraisers, and Heater at MASS, 1002 S Main St, FW. $5-10. 682-707-7774. Next articleTrump Card: Can fired-up Democratic women (and men) turn Tarrant County blue?